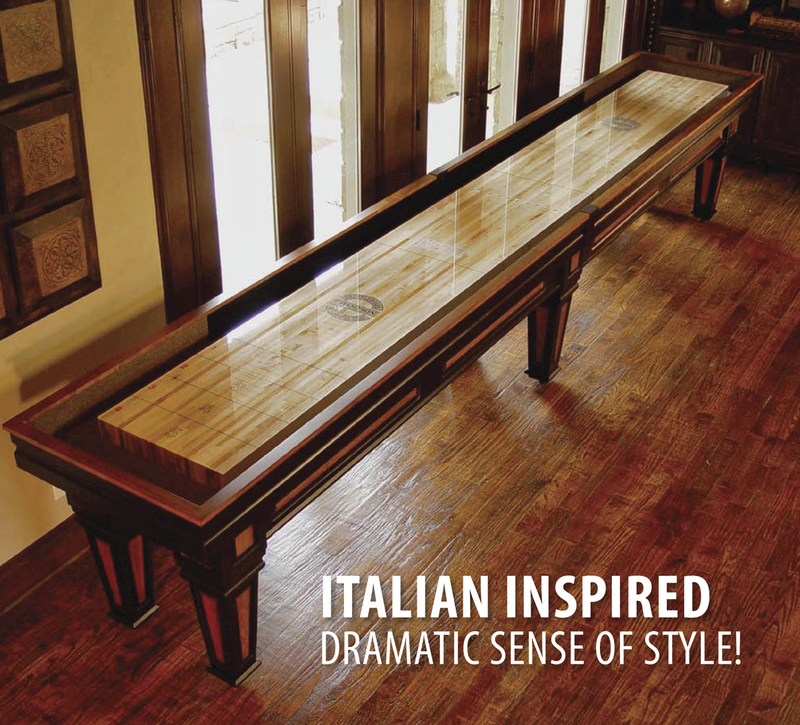 Bring Italian-inspired design to your home, office, game room or entertainment venue with the ultra opulent 18-foot Champion Worthington Shuffleboard Table. 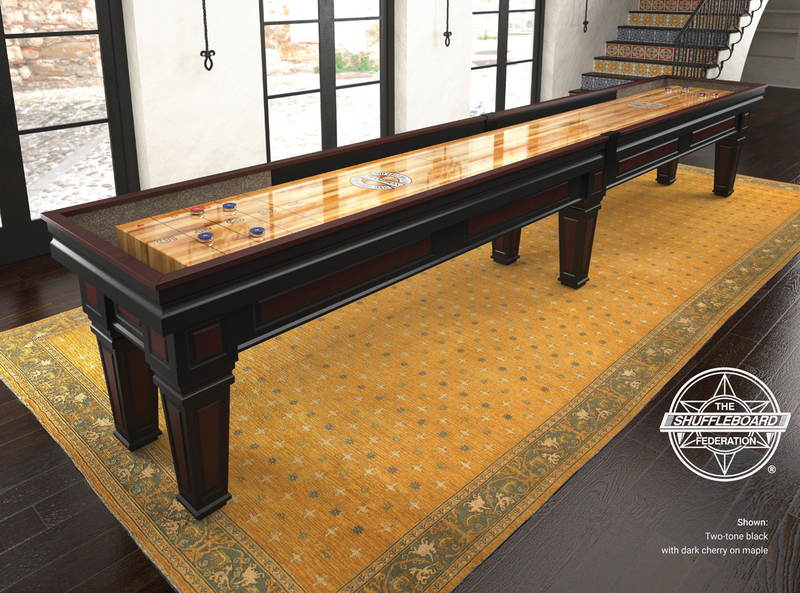 Dripping with dramatic details, like a solid maple, Italian-inspired cradle and sturdy two-toned legs, the Champion Worthington is the ideal shuffleboard table for any upscale, traditional space. It's built with Champion's solid maple playfield with a polymer finish that's covered by a lifetime warranty. The Worthington comes with Champion's patented Handicap Scoring, one set of eight weights (pucks) and wax. This table features a durable 3-inch thick playfield and can be ordered in 12 colors at no additional cost to you. At The Shuffleboard Federation, you can customize shuffleboard tables to your liking with a full-color logo (great for bars, pubs, hotels, corporate environments and more), your choice of professional scoreboards and a light kit that includes two light fixtures and mounting hardware. The Shuffleboard Federation offers the complete Champion Worthington line, with 12-foot, 14-foot, 16-foot, 20-foot and 22-foot tables also available to meet your unique space challenges and game play requirements. Solid Maple Italian-Inspired cradle and legs. Playfield: 16' 8" long x 20" wide x 3" thick (7" with the climatic adjusters). Other Available Sizes: 9', 12', 14', 16', 20' and 22'. Cradle Length: 18' overall, comes in two 9' sections. This model has five legs and eight climatic adjusters. • Stain Color Options: Black, Capri, Charleston, Dark Brown, Dark Cherry, Espresso, Fruitwood, Grand Champion, Mahogany, Medium Brown, Millcreek, Modern Mahogany, Natural, Old World, Rustic Gray, Walnut.